Large picture frame in stainless steel with mirror finish. Held together with magnets, the innovative assembly allows for easy arrangement and versatility – and thanks to an in-built stand, the frame can be displayed both horizontally and vertically on a tabletop or easily mounted on a wall. The bold lines of the frame exude precision and restraint for picture perfect decoration. Minimal and elegant picture frames from Georg Jensen let your most cherished photos speak for themselves. 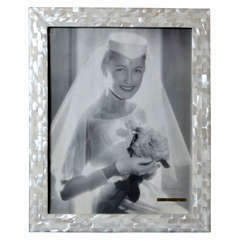 Silver frames add a touch of class to your desk, shelf or mantlepiece. 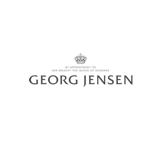 With a history that spans more than 100 years, the Georg Jensen brand represents quality craftsmanship and timeless aesthetic design, producing lifestyle products ranging from hollowware to watches, jewelry and home products. The philosophy of Georg Jensen himself was to create democratic designs possessing both functionality and beauty. His artisanal skill and artistic talent combined with his continuous ability to identify and support design talent was the foundation on which he built Georg Jensen in Copenhagen in 1904. Georg Jensen’s style embraced the Art Nouveau lines of the day but injected them with a distinctive vigor that continues to resonate today. Serene flowing forms are enriched by exquisitely sculpted ornamentation and his stylized bouquets of flowers and lush bunches of grapes reflect his sensual delight in nature. Our most important task is to leverage the ideas and principles of the master himself and translate these into the design of the present day. Italian marble picture frame / centerpiece manufactured by Skipper. 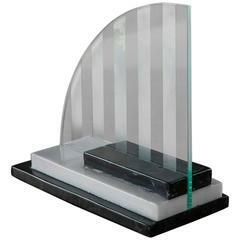 Three marble slabs host the curved shape glass with sandblasted and transparent stripes. 3 x 5 beveled mirror picture frame - perfect for any room, shelf, desk! a great gift. Gilt bronze picture frame in Louis XVI style, circa 1900.